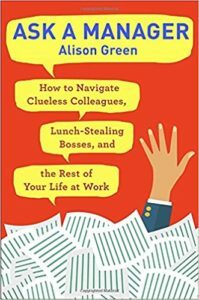 Many of you are fans of Alison Green, the “Dear Abby of the work world.” Last week, between updating her wildly popular website, Ask a Manager, promoting her new book, Ask a Manager: How to Navigate Clueless Colleagues, Lunch-Stealing Bosses, and the Rest of Your Life at Work, and writing her weekly advice column, Ask a Boss, for The Cut, she was gracious enough to answer a few questions for me about navigating interpersonal relationships in the workplace. Below, Alison addresses whether and when it’s ok to date a coworker, rules about inviting colleagues to weddings, and one of the most prevalent mistakes people make at work (and how to avoid it!). DW: One of the themes that pops up a lot on Dear Wendy is dating in the work place. 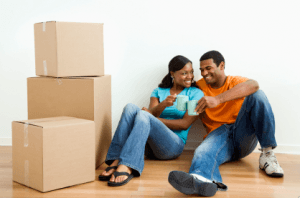 Under what circumstances is it OK or not OK to date a colleague? 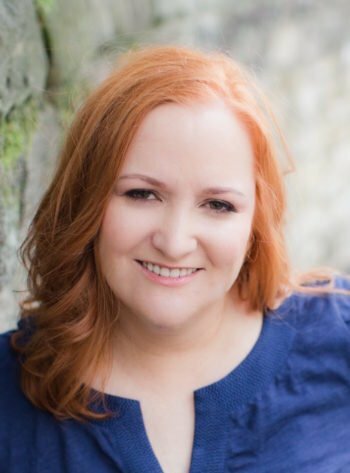 Alison Green: Dating at work can end up being really messy, so the cautious approach is to never date a coworker … but we’re humans and we don’t always work that way. 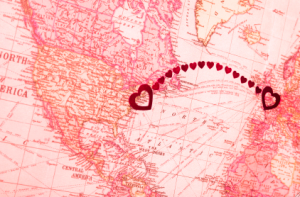 In most cases, it’s okay to date a coworker as long as: (a) you’re not anywhere in each other’s chain of command (you cannot date someone whom you have authority over, or who has authority over you); and (b) you’re committed to keeping your relationship (and potential break-up) out of the office. That means that you can’t be romantic or touchy-feely in front of others, you have to be impartial and not show favoritism if your work overlaps, and you can’t under any circumstances bring tension or drama into the office if you have a fight or break up. In other words, you have to ensure that the relationship doesn’t impact other people you work with. And really, if you have a history of being bad at break-ups — if you’re hostile toward your exes or can’t stand the thought of having to see an ex on a regular basis — you should not date a coworker at all. Don’t risk bringing that kind of drama or unpleasantness into your work life. DW: I answered a letter recently that a reader pointed out you had answered this past fall. The LW edited and updated a few details in the letter she sent me, but it was clear the problem had not changed and had been weighing on her for months. Her boyfriend’s ex-girlfriend had taken a job at her company and the LW felt resentful and insecure in her presence. When someone like her has a difficult time moving past a strictly personal problem with a colleague, is there ever a point you advise leaving the job, and what is that point? AG: It’s okay to indulge a *little* in weird feelings toward a coworker. Again, we’re humans and we have weird feelings toward each other sometimes. But you want to pretty quickly figure out a way to move past that. In a work context, part of what you’re being paid for is to get along with the other people in your office. If you don’t, that can hurt you professionally — you can end up looking like someone who isn’t able to navigate tricky interpersonal situations with maturity and grace, and that can really hurt your reputation and hold you back. Ideally, you’d find a way to take the emotion and your ego out of a situation, and mentally reframe the situation from “this is Jane, my boyfriend’s ex” to “this is Jane, my coworker, who I need to have a professional relationship with.” If you can’t do that, that’s a real danger sign, and it might be time to think about changing jobs. DW: Flipping the scenario, how would you advise someone trying to decide whether or not to accept a job offer where someone they may have a personal conflict with also works? AG: A few things to look at: How big is the company? How closely would you be working together? How serious is the conflict? What do you know about the other person’s ability to put personal issues aside and behave civilly when the context requires it? And what do you know about your *own* ability to do that? If it’s a big company and you won’t see each other often and you’re both reasonably mature, it might not be an issue at all. But if those factors aren’t in your favor, I’d be really cautious about taking that job because you might be signing up for a lot of drama in your work life that you’d be better off avoiding. That said, people don’t always have the option of walking away from a job opportunity, and if that’s the case, you’ve got to really resolve to handle yourself impeccably. DW: A common theme on DW is anxiety about guest lists for weddings. 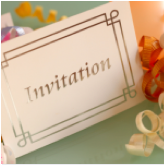 People often ask me if they have to invite co-workers to their weddings, or, if they are close with a few co-workers, would it be unprofessional not to also invite those they are less close with, especially if they work in small offices. Do you have general advice about including co-workers in one’s wedding festivities? AG: You’re definitely not obligated to invite coworkers to your wedding, and that’s especially true if you’re not close to them. If anyone asks about it, you can just explain that you have restrictions from the venue or huge families. People will understand that. If there are just a few people you’d like to invite, that’s generally fine as long as you’re thoughtful about not making the other people feel slighted. A good rule of thumb is to ensure that the number of people you invite is smaller than the number of people you’re not inviting. For example, if you’re on a team of ten people, it’s fine to invite, say, three of them — but it would be unkind to invite eight of them and leave just two people out. DW: What do you think is one of the most prevalent mistakes people make in navigating workplace relationships, and how would you advise avoiding it? AG: Most people are uncomfortable with conflict, and that’s especially true at work — which makes sense, given that the stakes at work can be pretty high. But as a result of that, people often don’t speak up when something is bothering them and instead just suffer in silence — or they wait so long to speak up that, when they finally do, they’re incredibly frustrated and it shows, or the problem has become much worse in the interim and now it’s a bigger deal to address it. So many of the letters I receive have answers that boil to down to “you need to have a mildly awkward conversation, but it will be fine and it will probably solve the problem and make your life at work better.” And yet people don’t want to do it because they dread that mildly awkward conversation! Lots of people spend months or even years putting up with something they really dislike just to avoid having to do that. That’s what I tried to tackle in my new book — I want to show people that they *can* speak up, it doesn’t need to cause horrible tension in the relationship, and here’s how to do it. Alison’s newest book, Ask a Manager: How to Navigate Clueless Colleagues, Lunch-Stealing Bosses, and the Rest of Your Life at Work, is out now. Find it at your favorite bookseller or your local library. This is very cool! Allison’s advice is consistently thoughtful and practical. Its awesome to see AG on DW! I love her site and podcast. I’ve been reading Allison Green’s “Ask a Manager” off and on for about a year. There’s something about the questions she poses as coming from readers that are beginning to strike me as odd. They are either, totally obvious, way too wacky or sound like something someone would make up. I think she makes up her own questions. All of them are written in the same style and syntax and all of them are quite long. So I’ve stopped reading her blog because I’m not interested in reading about fantastical, made-up scenarios written for the sake of filling up a blog and a book.